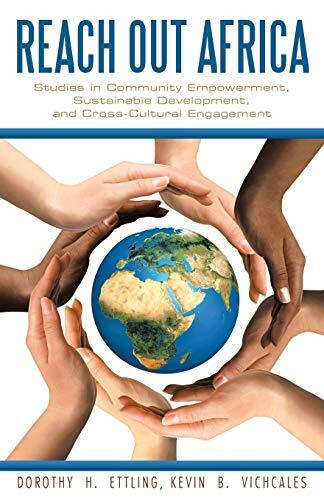 This guidebook is a collection of stories of African development projects that have transformed the lives of individuals and communities through collaborative partnerships. Through the study of these successful collaborations, readers will learn to: Engage in capacity-building for collective problem-solving at the community level. Work collaboratively for women's empowerment. Mobilize culturally diverse communities to plan, implement, and evaluate sustainable community development. Build meaningful collaborations among university and grassroots partners. Maximize volunteer skills and match them to community needs. The Women's Global Connection (WGC; www.womensglobalconnection.org) embarked on this journey of cross-cultural engagement and capacity-building with one intention, grounded on three pillars: Local ownership demanded individual and community involvement and buy-in. Social empowerment required that each of our endeavors resulted in the local community's capacity to share the knowledge and replicate the training that was offered. The promise of sustainability curbed our efforts to engage only in projects that held the hope of long-term sustainability by the community itself. Years of collaboration among the women's cooperatives, WGC, a private Catholic university, and countless volunteers has demonstrated the unbounded potential of reaching across boundaries and barriers to build a more responsible sense of global citizenship in today's inequitable world society. Dorothy H. Ettling, PhD, Professor and Director of the Center for Civic Leadership at University of the Incarnate Word (www.uiw.edu) in San Antonio, Texas, is the co-founder of Women's Global Connection (www.womensglobalconnection.org) and a member of the Sisters of Charity of the Incarnate Word. Kevin B. Vichcales, PhD, Dean of the School of Graduate Studies and Research at the University of the Incarnate Word in San Antonio, Texas, is an active historian with wide-ranging interests and the author of numerous scholarly works.